A PDF close-up with key to nationalities can be found here. 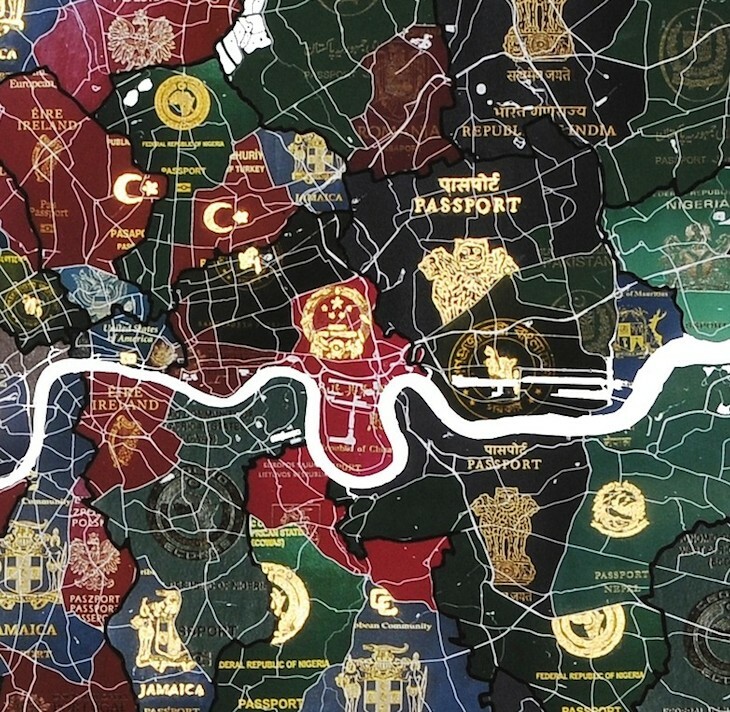 Artist Yanko Tihov has created this rather attractive map of London diversity made from passport covers. 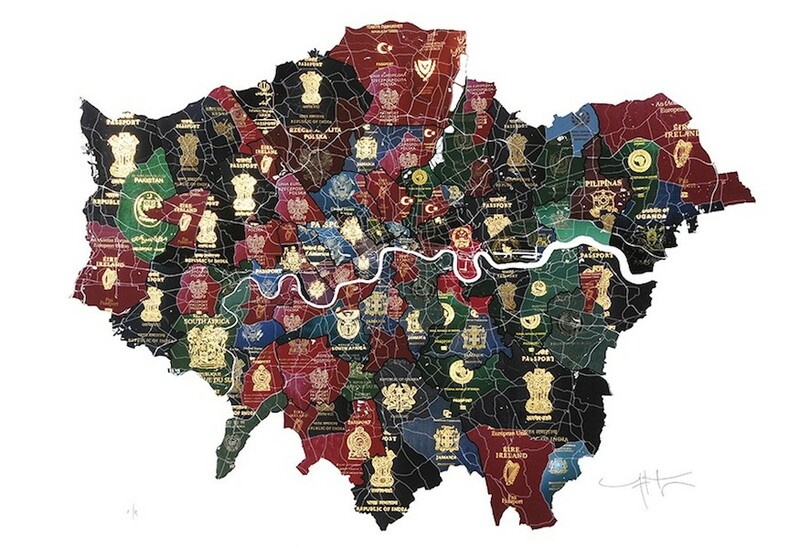 The art work shows the commonest three or four non-British nationalities in every London borough, as documented in the 2011 census. A limited number of prints are available for purchase, with the added feature that Yankho has hand painted each passport seal in 23-carat gold. Needless to say, they're pricey, so enjoy the image here. Images courtesy of TAG Fine Arts.